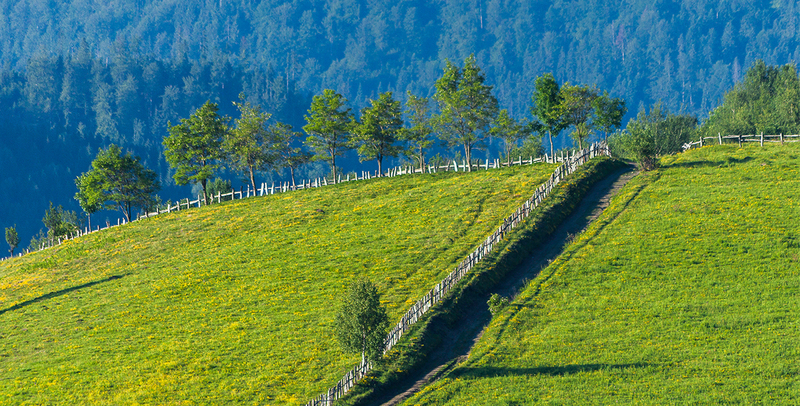 The Outstanding Universal Value of Rosia Montana is based on four of the six cultural criteria established through The World Heritage Convention. For a site to be inscribed on the World Heritage List , meeting only one of these criteria is required. Together with proving The Outstanding Universal Value it is also necessary to demonstrate the integrity and authenticity of the site and the capacity to protect and manage it in order to preserve this Outstanding Universal Value. Roșia Montană Mining Landscape contains the world’s pre-eminent example of an underground Roman gold mine and, further, demonstrates over 2,000 years of subsequent exploitation and continuous settlement. Many of the mining features preserved in over 7 km of Roman workings demonstrate exceptional innovative techniques developed by skilled migrant Illyrian-Dalmatian miners to exploit gold in such ways that suited the technical nature of the deposit. Control of precious metal resources, to use as currency, was a fundamental factor in the development of Roman military power and Imperial expansion. When in possession of the Apuseni Mountains there was an imperative to immediately commence mining in an efficient manner. A decade of professional underground archaeological campaigns, beginning in 2001, elucidates a fusion of imported Roman mining technology with locally developed techniques, unknown elsewhere from such an early era. 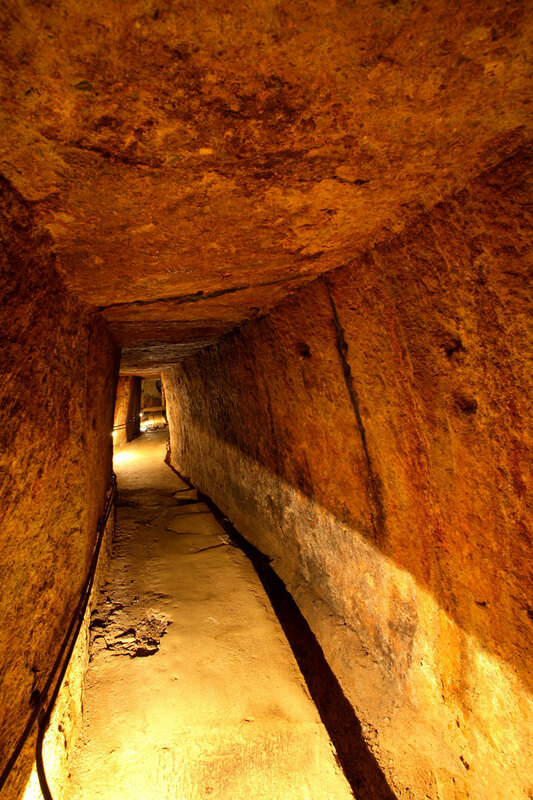 Multiple chambers that housed treadmill-operated water-dipping wheels for drainage represent a technique likely routed from Hispania to the Balkans, whilst perfectly carved trapezoidal-section galleries, helicoidal shafts, inclined communication galleries with stairways cut into the bedrock, and vertical extraction areas (stopes) superimposed above one another with the roof carved out in steps, are in a combination so specific to Roșia Montană that they likely represent pioneering aspects in the technical history of mining. The significance of Roşia Montană Mining Landscape is not limited to antiquity as the Apuseni Mountains were Europe’s main source of gold from the end of the Crusades in the thirteenth century until the discovery of the Americas in the sixteenth century, thereafter remaining pre-eminent in terms of output, during the 18th and 19th centuries in particular, when German, Austrian and Hungarian miners were brought in and used their own advanced technology to exploit the deposits on a much larger scale. Roșia Montană Mining Landscape embodies the cultural tradition of one of the oldest documented mining communities in Europe, anciently founded by the Romans and which survived under influences of successive socio-technical and organisational systems whilst gradually waning until its final disappearance at the beginning of the twenty-first century. The site was the most important precious metal mine located in the Golden Quadrilateral of the Romanian Carpathians and is associated with exceptional epigraphic testimony from the Roman Imperial era. 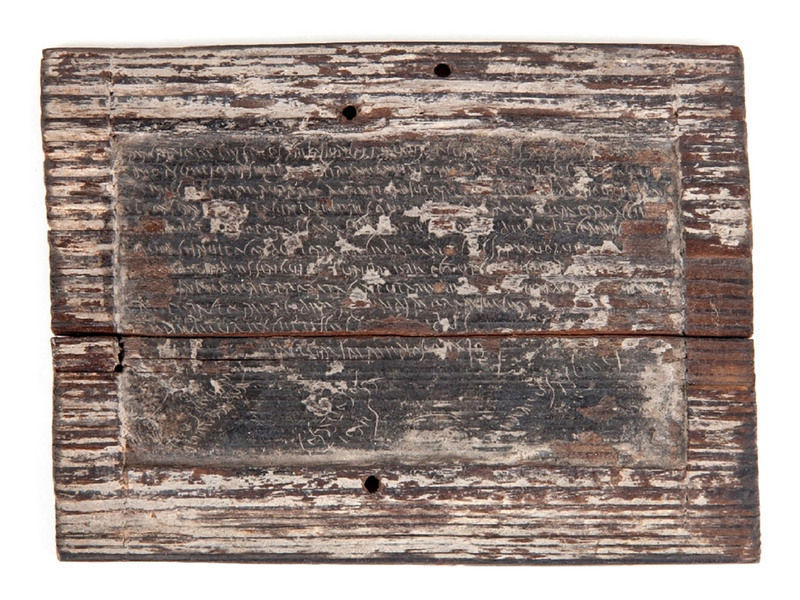 Wax-coated wooden writing tablets discovered in the mine during the eighteenth and nineteenth centuries have been correlated with numerous stone epigraphic monuments discovered on site. Together they provide an authentic picture of daily life and cultural practice in this ancient frontier mining camp community. Roșia Montană Mining Landscape is rooted in a past that evolved in a tradition consistently bound by efforts to extract gold. Detailed physical testimony is provided by: the underground mining works, chronologically differentiated by distinctive technical features; the socio-technical surface mining landscape consisting of ore-processing areas, habitation areas, sacred areas, necropolises; the current mining village built at the dawn of the industrial era; and the extensive documentation of the communities that generated them. Archaeological evidence survives alongside the legacy of modern underground mining operations, whilst the landscape reveals evidence of an increasing scale of modification through time to serve mining and the way of life of its communities under successive control of empires and state, each phase adding to, or in some case erasing, its predecessors. Today, life continues in a landscape little changed in some respects, retaining its capacity to yield a limited yet traditional living from agriculture. Its cultural and natural assets, however, are of such quality that they have the potential to offer a sustainable future for generations that follow. 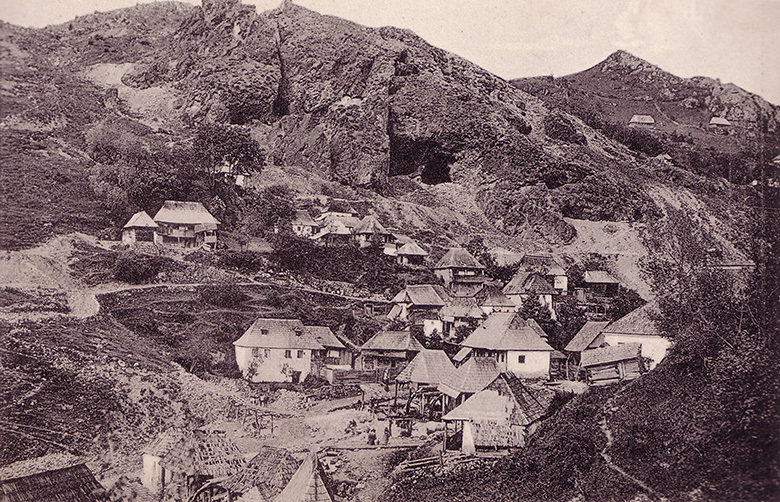 Roșia Montană Mining Landscape is testimony to the long history of gold exploitation in the Carpathian precious metals province of the Golden Quadrilateral, from the Roman era to the twenty-first century. It is an exemple that illustrates the strategic control and vigorous development of precious metals’ mining by the Roman Empire, essential for its longevity and military power. Following the decline of mining in Hispania (Iberian Peninsula, modern Spain and Portugal), Aurariae Dacicae (Roman Dacia, AD 106 to AD 272) was the only significant new source of gold and silver for the Roman Empire, among the likely key motivations for Trajan’s conquest. The pre-eminent underground Roman mining network, with its outstanding technical attributes and associated landscape, is exceptional testimony to the diffusion and further development of precious metals mining technology during the expansion of the Roman Empire in the 2nd and 3rd centuries AD. Archaeological investigation has revealed important aspects that contribute to the global history of mining. 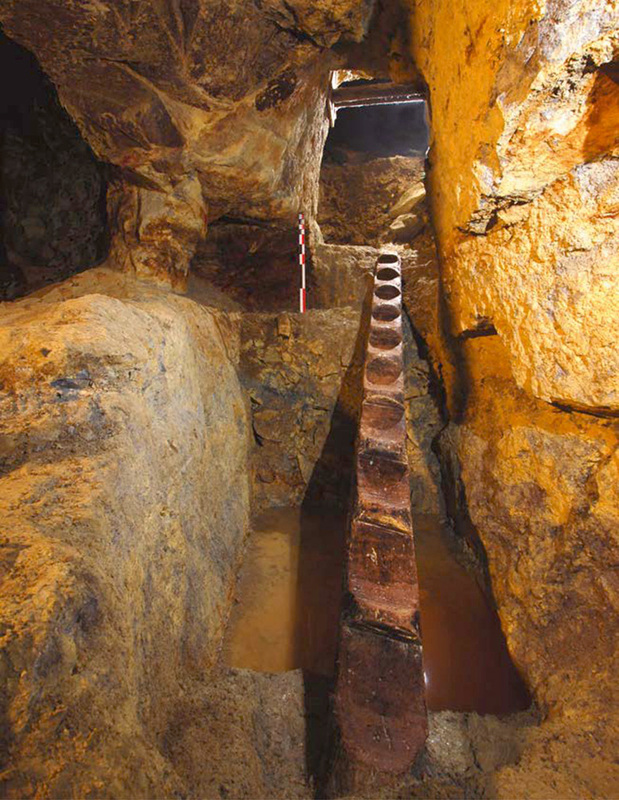 Such extensive perfectly carved trapezoidal-section galleries, helicoidal shafts and inclined communication galleries with stairways cut into the bedrock, and vertical extraction areas (stopes) superimposed above one another with the roof carved out in steps, are unknown elsewhere from such an early era. Features such as multiple chambers for treadmill-powered water-dipper wheels (and the wooden remains of such equipment), whilst recorded but mostly destroyed elsewhere in the Roman world by subsequent modern mining, are preserved at Roșia Montană. They are of exceptional value due to their rarity, extent and state of conservation. The modern socio-technical mining legacy is significant, too, from the prolific Habsburg legacy of the seventeenth to nineteenth centuries to the pre-industrial mining and ore-processing methods captured at the moment of technological changes on the verge of the modern industrial revolution. Mining operations undertaken at this time were mostly by ‘freeholder’ families that favoured the continuation of such ore-dressing methods until nationalisation in 1948. Large-scale underground mining started under the communist regime, an era that has left enormous caverns, and in 1971 this switched to large-scale opencast working of the Cetate massif, destroying the spectacular Roman mining works known as the “Citadel” and continuing until 2006 by which time it had effectively reduced the elevation of the mountain by as much as twenty per cent. The apartment blocks inserted in the first stage of the socialist age into an essentially eighteenth-nineteenth century architectural ensemble is a striking relic of this era. The Roman wax-coated wooden tablets (tabulae ceratae) of Alburnus Maior (Roşia Montană) were made famous by the great German historian Theodor Mommsen (1817–1903), generally regarded as one of the greatest classicists of the nineteenth century. They represent a significant source for his interpretation of Roman law and on the law of obligations, which had a significant impact on the German Civil Code, subsequently forming the basis for similar regulations in other countries such as Portugal, China, Japan, South Korea, Taiwan, Greece and Ukraine. Around 50 Roman wax-coated wooden tablets were discovered during the 1780s and 1850s in mining galleries at Roşia Montană, with some 24 surviving in museums around the world. These are first-rate sources of legal, socio-economic, demographic and linguistic information not only regarding Alburnus Maior but the entire Dacian province and, implicitly, the Roman Empire. The tablets provide intimate details of life in the mining community and are also correlated with an unparalleled number of stone epigraphic monuments, votive and funerary, discovered on site and preserved in museums at Roşia Montană, Cluj-Napoca, Turda, Alba Iulia and Deva. Information reveals explicit details of mining organisation, sale and purchase contracts, receipts of loans with interest, and the sale of slaves. Epigraphic evidence attests not only Illyrians but also Greek and Latin migrants hired to work in the mines and organised in associations (e.g. collegia aurariorum, societas danistaria). Academic research into the history of the Roman Empire during the Antonine dynasty and its relationship to the Dacians’ gold and gold extracted from Roman Dacia has opened a new area of research into European cultural history: the economic recovery of the Roman Empire, the commencement of monumental public construction works in Rome, among which the Forum and Trajan’s Column are perhaps the most important elements, and the direct linkage to the gold-mining area of Dacia where Alburnus Maior was its principal centre. The perceived value of Roșia Montană’s gold resources, like that of other gold-producing regions, changes with time, trade, technology and ownership of territory. The destination and uses of gold also change with the above. For the Romans, gold was vital for currency to pay its soldiers across its Frontiers - and for funding the import traffic that plied the ‘roads’ of silk and spices that led to Rome.